You may wonder why we occasionally post and comment about music, music videos, and the latest musical acts. No Doubt and Lana del Rey have been two musical acts on our radar lately. Little do most people know, we used to program boarding music for our former airline. What? That’s right, program boarding music. You may think, oh there’s nothing to that. Well, let us tell you, there was plenty of thought and consideration that went in to it. Einstein used a formula E = mc2. So did we! 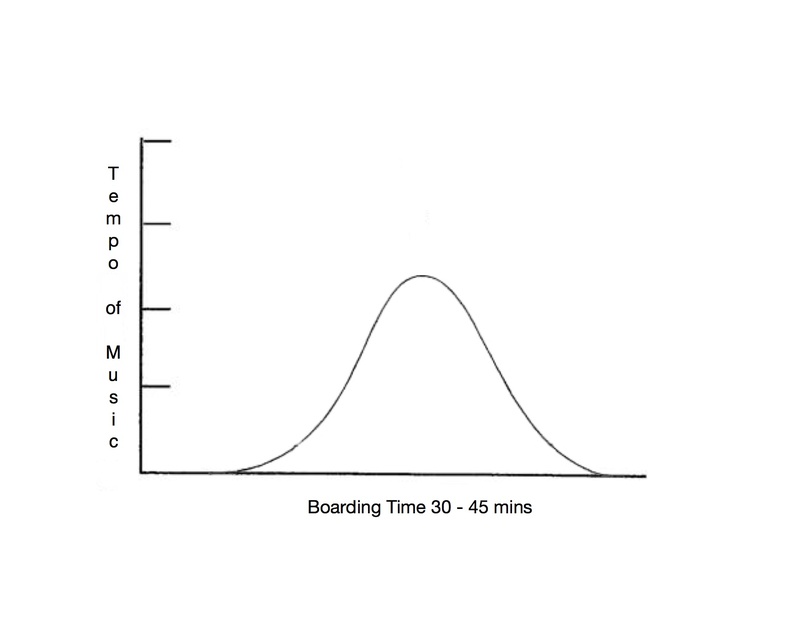 We used the bell-shaped curve to guide us in our musical selection (more on this later). And we also had the good fortune of collaborating with a lovely woman named Danette Christine who is founder and president of SoundTrack Marketing. As a musician and singer, she has a way with music. As a entrepreneur, she understands the ins and outs of the music business. We connected on so many levels. You can’t deny the transformative nature of music. Music has a way of influencing people, places, and situations. Think about the last time you were at a bar, restaurant, club, or store. Did you take the time to listen to the music in the background/foreground? Chances are it wasn’t haphazardly put together. Lots of consideration is given to creating the “right” atmosphere. The right ambiance. When programming music for boarding we were considerate of the atmosphere we were creating. In years past many airlines had no boarding music at all or used classical music. The thought behind using classical music was that it had a calming effect. Where this may be true, it’s not very contemporary in today’s environment to play classical boarding music. Our assignment was to make a difference in the boarding experience. We were given creative license to create the best boarding experience for the customer through music. So, we chose contemporary tunes (Gwen Stefani, Luther Vandross, Beyonce, Celine, Jason Mraz, etc), oldies-but-goodies (Spinners, Jackson 5, etc), as well as an “ambient mix” of groovy sounds. During our assignment we constantly, and still do, listen for new music. The app Shazam has become our friend. Each month we would add songs to our list for possible boarding music choices. On our monthly conference calls with Danette we would discuss the selections for a possible playlist. We would present our list and suggestions and Danette would present hers. Each song would then be reviewed for sound, lyrics, and placement in the lineup. Each playlist lasted between 30 and 45 minutes. Here’s where the bell-shaped curve came in. The “science” was to begin the boarding music with a mid-tempo. The mid-tempo would welcome on the first class and elite customers. Once general boarding began the tempo would increase a bit. The rationale was that as the majority of customers boarded the boarding the music would get them moving expeditiously to their seats. As boarding came to an end the songs in the boarding playlist would return to a mid-tempo. Besides creating an experience for the customer, we also had to be cognizant of the cabin crew; they would be listening to the music playlist for a complete month. So, we made sure to choose tunes that didn’t grate or irritate them. The term that we used to describe this condition was “music fatigue”; hearing the same tune over and over again to the point of exhaustion. Definitely not the experience we wanted to create for our fellow cabin crew. Our collaboration with SoundTrack Marketing proved very popular and lasted for 1 and 1/2 years. We received (and still do receive) positive comments from flight crews and from customers on a consistent basis. They really enjoyed the “freshness” of the music, the selections we chose, and the diversity of those selections. On occasion we’re asked by cabin crew to come back and program the music again. We’d gladly do it all over again! 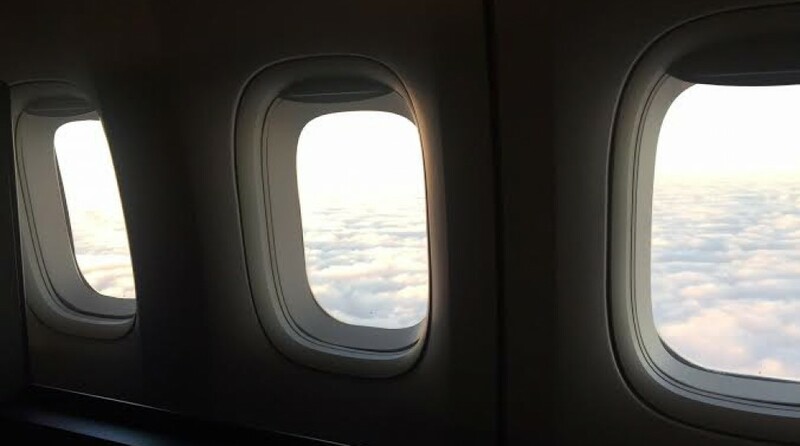 This entry was posted in Uncategorized and tagged airlines, airplanes, avgeek, aviation, customer service, flight attendants, music. Bookmark the permalink. Thanks Jeanene! We appreciate your comments and always like to hear what you have to say.